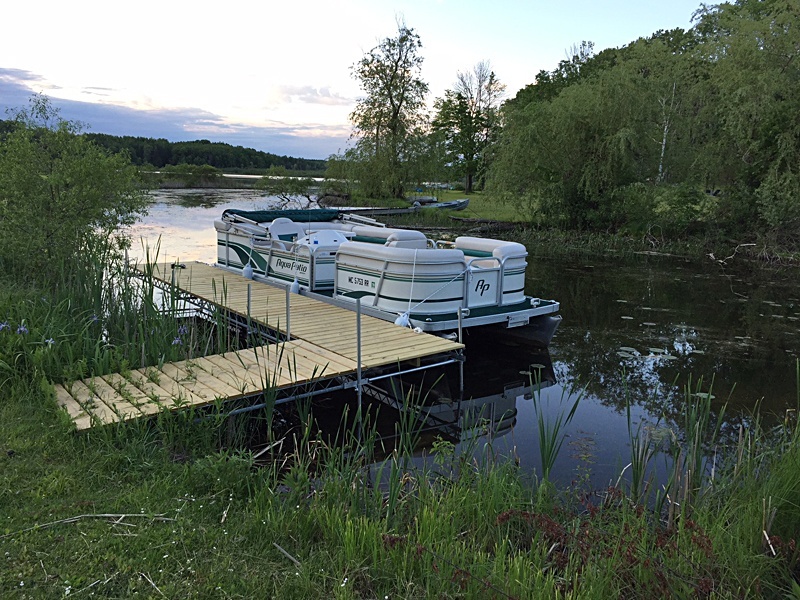 Adjustable Boat Docking Supports Since "1970"
Port-A-Dock adjustable dock supports are designed for easy installation, stability and durability. Economically designed for the Do it yourself-er. Port-A-Dock assembly units are made of three pieces: 1 Cross member pipe which has a vertical pipe sleeve welded to each end, along with 2 carrier angles welded directly to the cross member pipe.The dock supports legs include 2 steel pipe supports with heavy duty steel round discs welded to the support pipe. This simple design allows for full up or down depth adjustment, just tighten the heavy duty adjustable nuts to lock the support at your desired height. Finish is painted steel. 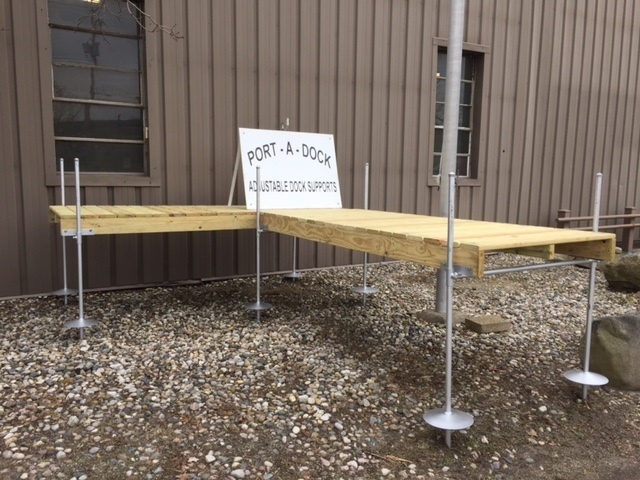 Port-A-Dock supports are available in widths to fit walkways built 3ft wide or 4ft wide. Standard dock support legs are 5ft in height, taller dock support legs are available in1ft increments up to 8ft tall. Turning Corners Left or Right is no problem with Port-A-Dock. We have in stock "L" dock support units using the same simple design to fit your custom layout. "L" dock supports are made with the same durable construction as the standard supports with one additional welded cross member and leg support. The "L" support is a triple leg unit supporting your entire turn securely.